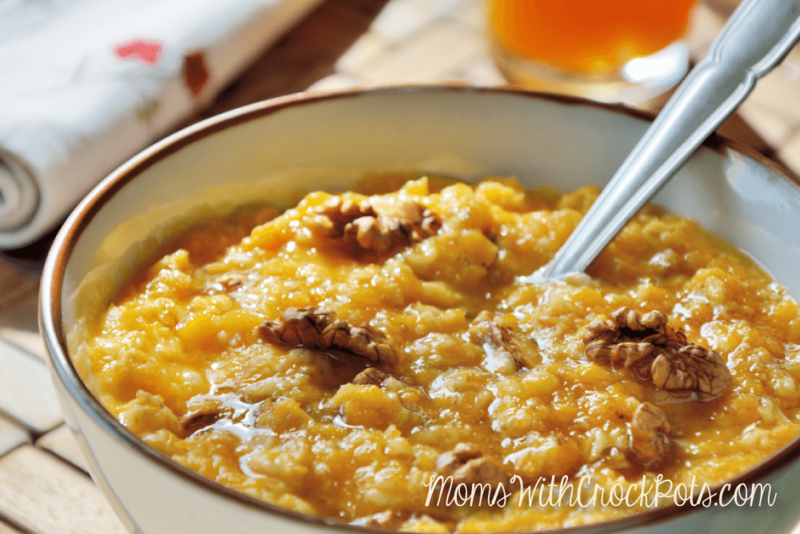 I love fall because with it comes pumpkin EVERYTHING! I am one of those that will eat Pumpkin until I practically turn orange. My kids love it too. 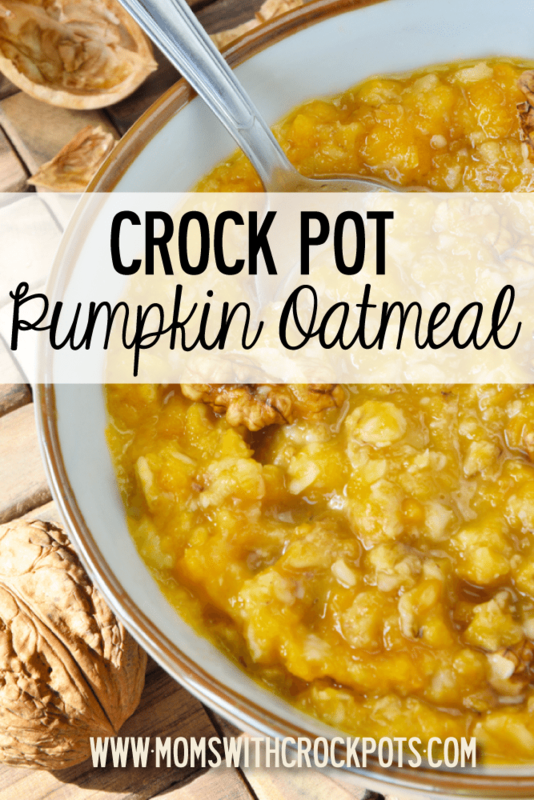 This Crock Pot Pumpkin Oatmeal is always a huge hit because my son says it tastes like he is eating pumpkin pie for Breakfast! You can also make your own Pumpkin Pie Spice if you don’t have any on hand. Use water or milk substitute ie; almond, soy, etc. I like oatmeal with fresh or dried cranberries too. Gonna try it. Thanks for so many good recipes! Oops…stars not working. I give ya 5! Yes you can. I just refrigerate any uneaten and then pop it in the microwave when we want to reheat.